India is among one of those few countries that receives abundant sunlight throughout the year. Undoubtedly, there is a tremendous growth opportunity for Indian Solar market. 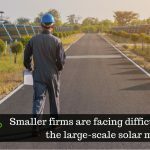 But due to lack of proper knowledge, lack of proper infrastructure, and penetration of low quality solar products in the market, the development of Solar sector in India has been inadequate and long-drawn-out than expected. 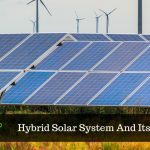 Nevertheless, there are many who wish to go solar, and for them, buying which type of solar panel for their rooftop solution or ground-mounted solution or any other, poses a baffling decision to make. There are variety of solar power technologies available. Depending upon the requirement of your project, these technologies can be categorized based on price, efficiency, flexibility, and durability. Solar PV modules are based upon the photovoltaic conversion of light (photons) into electricity (volt). Solar PV technology requires purified silicon to function with the best efficiency. And it is the crystalline silicon purification process that determines the price of PV solar manufacturing. Monocrystalline Silicon Solar PV delivers high efficiency, but also at a high cost. These PV panels are extremely space-efficient and have the longest lifespan. They have a very low tolerance for shade, dirt, or snow. This makes them sensitive and they can even breakdown by the slight trace of these elements. Polycrystalline Silicon Solar PV is less efficient when compared to Monocrystalline Silicon Solar PV. However, its manufacture utilizes less energy and materials that gives it a significant advantage in terms of cost when compared to Monocrystalline. 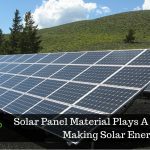 It also has a lower space-efficiency which means it needs to cover a larger surface to output the same power that monocrystalline panels produce. Thin-Film Solar PV is manufactured by depositing one or several thin layers of photovoltaic material onto a substrate. Despite several disadvantages, it is favorable for projects with lesser power requirements along with the needs for lightweight and portability. Although less viable for residential systems, thin-film cells are less expensive and have the potential to be a driver in the consumer market where price considerations could make it more competitive. The Monocrystalline panel is the original solar PV technology. It, however, is being challenged by both established and emerging technologies on the determinants of price, efficiency and versatility. Polycrystalline panel is considered most viable for its best value. Moreover, Solar PV modules made from polycrystalline silicon and some of the new generation thin-film solar PV technologies are giving feasible solutions to residential, commercial, industrial, and utility clients to accomplish their solar power needs. Solar panel can assist consumers in decreasing extra expenditure and increase savings with a correct implementation, along with timely maintenance. SaveGeo who provide efficient, state-of-the-art Rooftop Solar Solutions to help organizations and homeowners reduce their carbon footprint in a cost-effective and eco-friendly manner.